Odysseus hands the Cyclops Polyphemus a bowl of wine. The giant sits in his cavern home surrounded by a flock sheep. 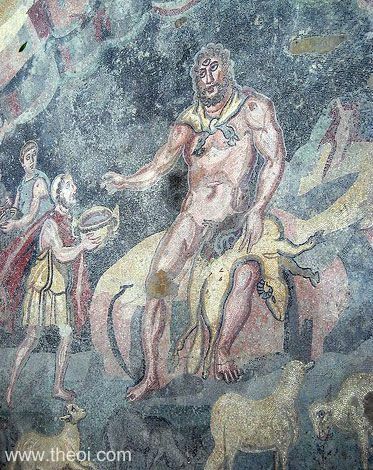 He is depicted with three eyes, the third crowining his forehead, and a gutted ram rests on his lap.